On December 21, 1883, General Order No. 26 authorized the formation of three schools of infantry, to be formed into one Corps, to be known as the Infantry School Corps. 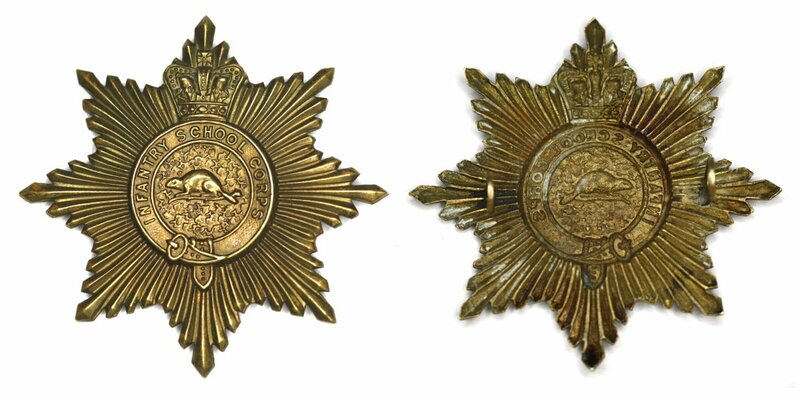 The standard 1883 helmet plate for the Infantry School Corps was the Home Service Helmet Plate two-piece design (in use from 1878 - 1914) consisting of a ‘Star Plate’ and a ‘Star Plate Centre’. 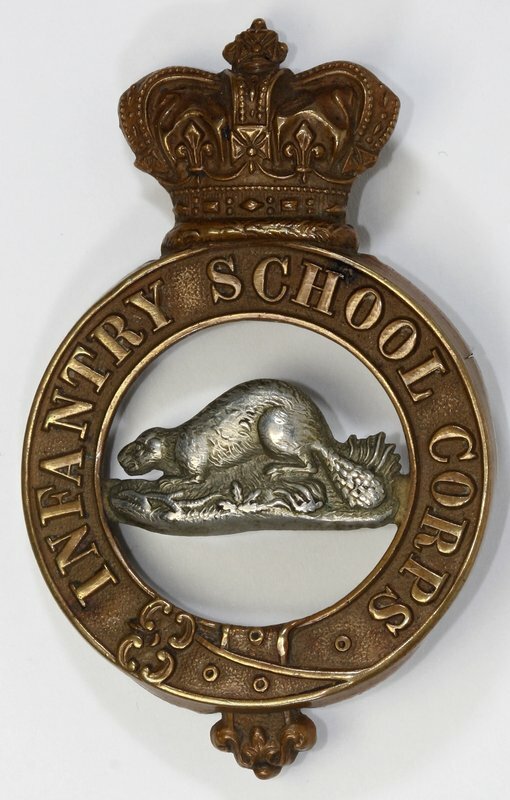 The Infantry School Corps helmet plate followed the British version, with the centre garter reading "Royal School of Infantry" but with a uniquely Canadian star plate centre of a silver beaver design. The helmet plate was worn on the white universal helmet. 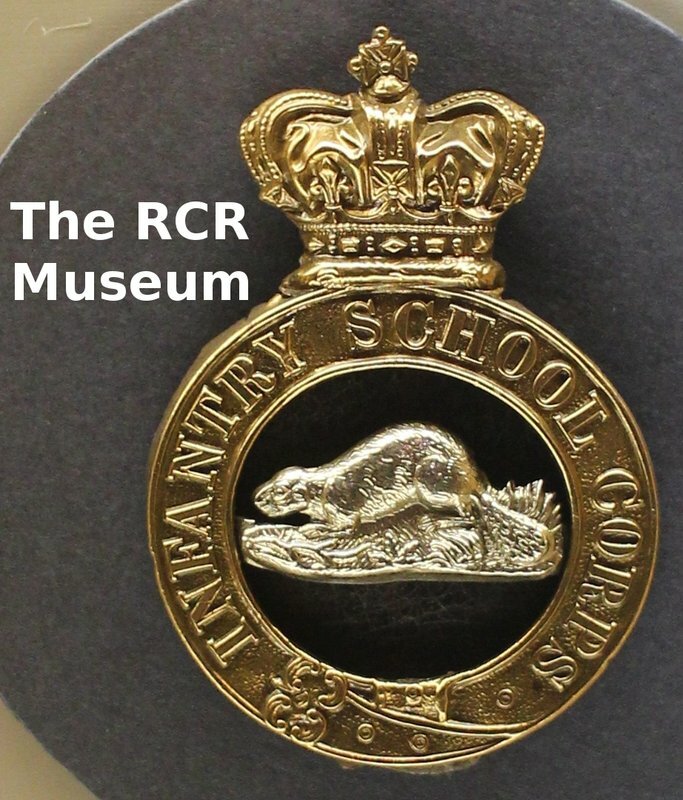 The RCR existed as the “Infantry School Corps” from 1883 until 1992, when the regimental name was changed to the “Canadian Regiment of Infantry.” Badges were named to the “Infantry School Corps” with the Canadian identity shown by a beaver as the central figure. 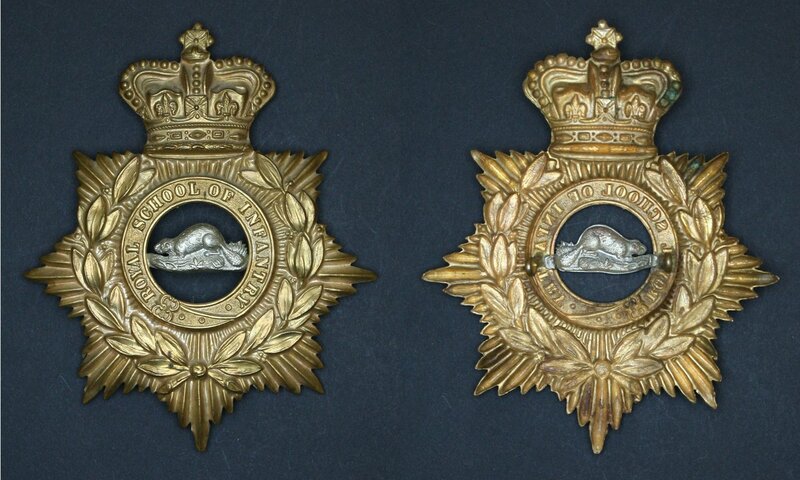 While metal badges are known for cap, helmet and collars, they are not common among collectors or museums. 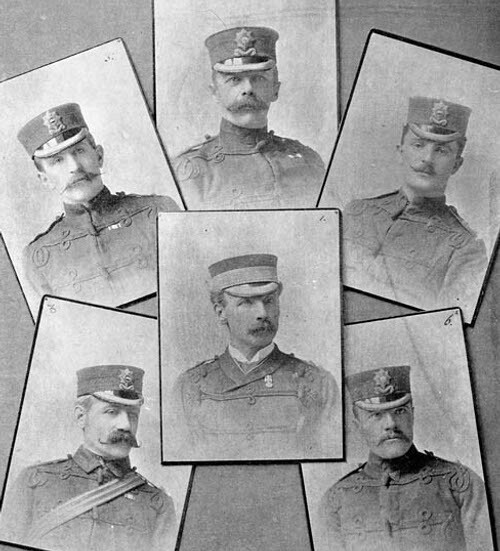 The officers of the Regiment during the I.S.C. 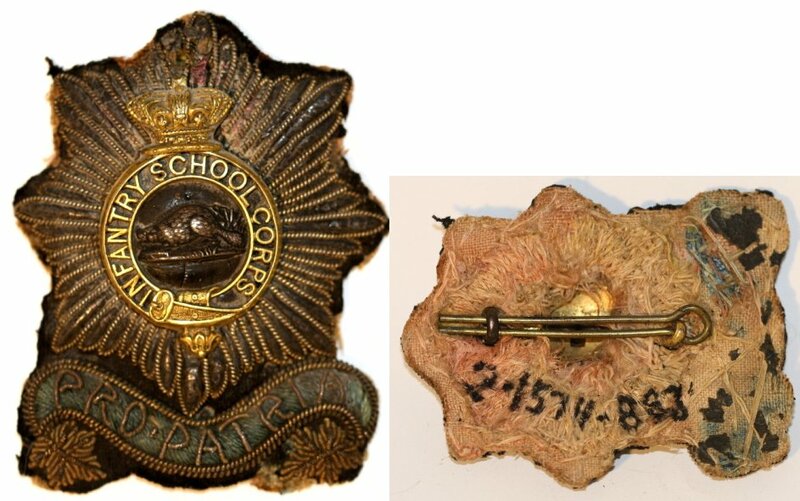 period also had a bullion wire badge, with a brass and silver centrepiece. To give an idea of how rare these might be today, in the nine years of the Infantry School Corps, the regimental history lists only 36 officers who joined the Regiment. The few badges that might have been made for them, coupled with the recognized fragility of the wire badges, assures that the survival of any of these badges is a remarkable event. 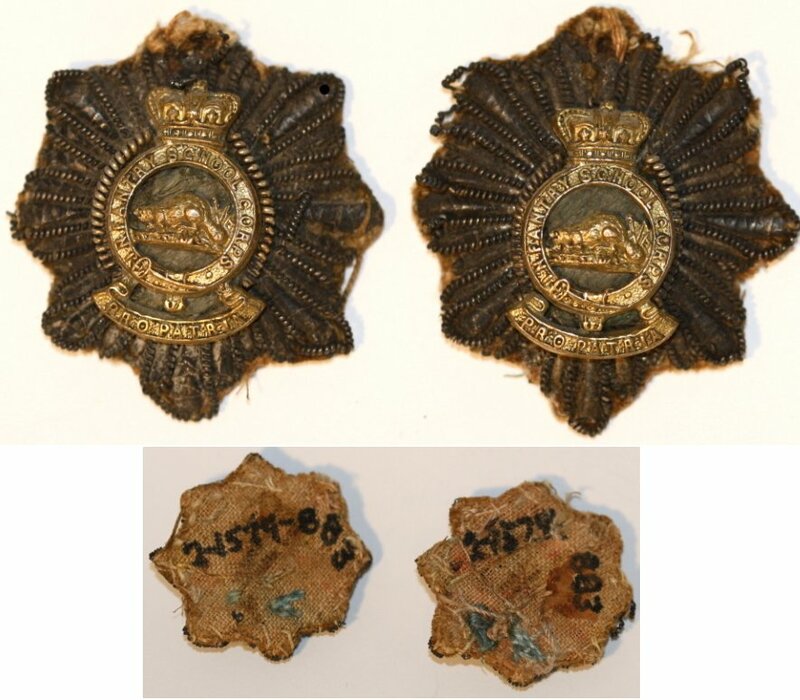 The bullion wire badges pictured above may be the only surviving set of these badges and are now in The Regimental Rogue's collection. 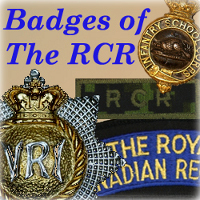 The following photos show examples of bullion badges being worn by officers of the Canadian Infantry School Corps. 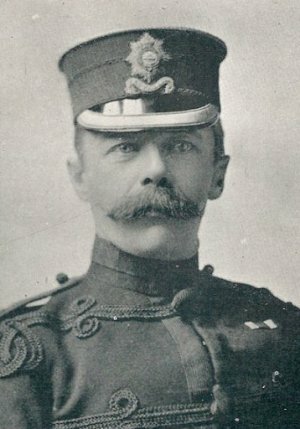 Major Beaufort Henry Vidal wearing one version of the bullion Infantry School Corps badge in an 1891 photo. Major Vidal served with the Regiment from 1883 until 1899. 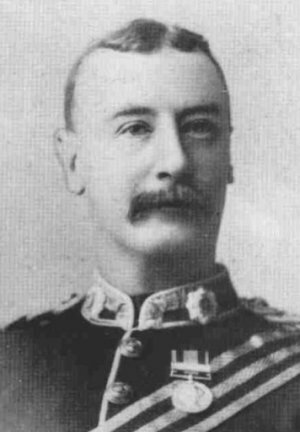 A veteran of the Abyssinia Campaign of 1867, he would retire in 1907 at the rank of Brigadier General, having held the appointment of Inspector General. The Infantry School Corps "Eight-Pointed Star"
This was first eight-pointed star worn by the Regiment. 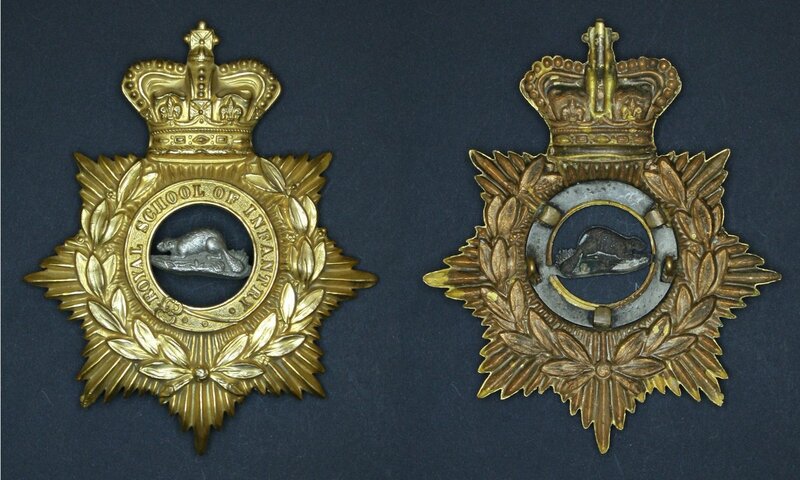 These badges, worn by officers and soldiers on the glengarry were produced in both gilt and brass with a silver beaver centre piece.